When I went looking for them I found that they fetched a pretty high price. I bid on several without success but eventually managed to snag this one. There is good gold filling on the cap because it’s still in excellent condition after all these years. It’s very 61-like until you look at the nib, which is beautifully shaped. When I tested it, it was a smooth medium and there is a tiny bit of line variation there. 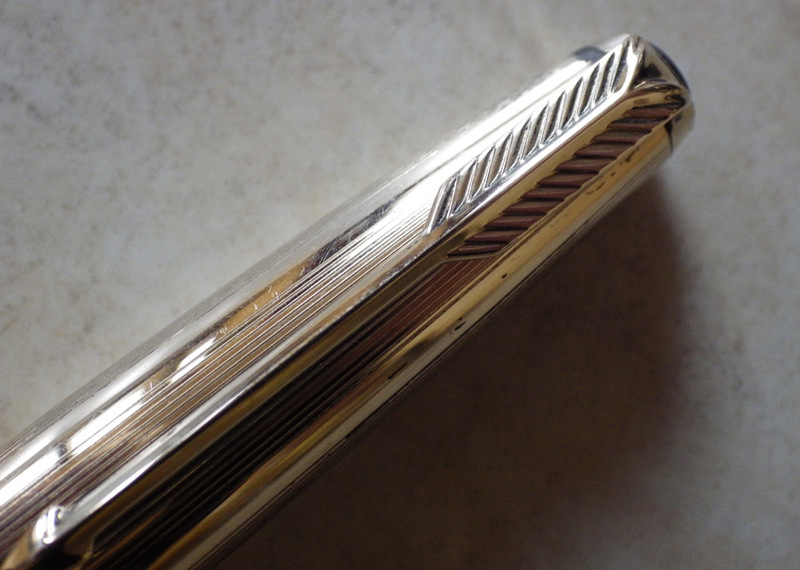 This is the version that has the Parker converter which I always think is a minor work of art itself. I don’t know how it was that I missed these pens for so long but having examined this one I will be buying more of them. Unlike my customer I like the flighters too and I hope that they will make an appearance in my blog before too long. This period, I think, was the last time that Parkers were producing truly excellent pens. After this the decline set in. I’ve been looking at some of the more modern Parker pens (more of this anon) and I can’t say that I’m impressed. I’m afraid that for good Parkers I must continue to dwell in the 50s and 60s and earlier. The 65 is a lovely pen I agree but beware a wobbly nib which is ‘cemented’ in place with a wax fillet. I am sorry but I also have to disagree with you about it being the last of the great Parkers. French-made 75s (the French 75 field gun demolished European armies at the start of the last century so was French 75 a deliberate allusion?) are possessed of beautiful nibs more flexible (i think) than their American-made cousins. I really meant that generation of pens rather than just the Parker 65. I agree completely about the Parker 75 and I have one on its way to me now. I expect to be writing about it very shortly. Thanks for the information about the Parker 65 nib. As it happens this one is quite firmly in place, but had I known about that it would have made me nervous about purchase. 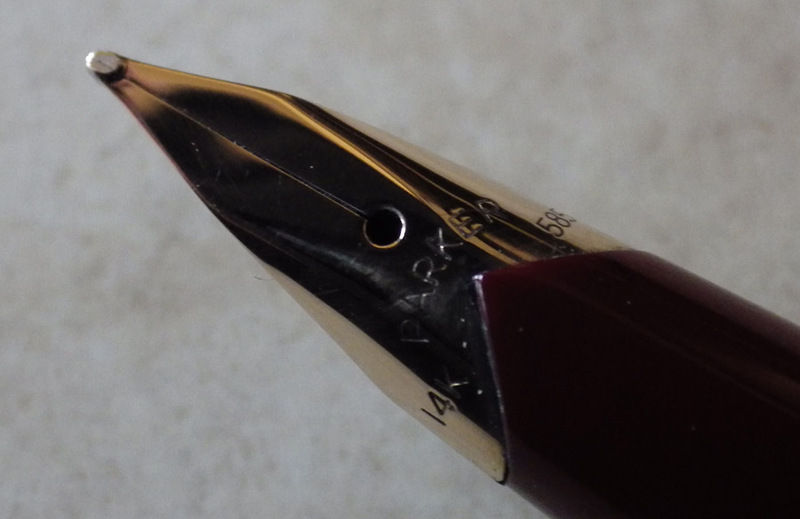 I have seen a video or two about the 65, and I think that they use a bit of wax or another substance perhaps in sealing the nib. Still the point seems well taken. While I have no direct experience of the 75, I understand that they are truly excellent, ergonomically lovely pens supported by a huge selection of high quality 14k nibs.